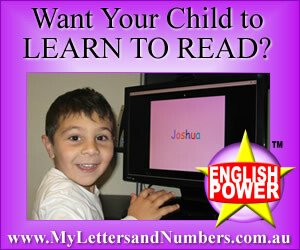 The contents of this site are © Copyright 2008 Back to the Future Education (Australia) Pty Limited. ABN 96 091 551 683. No material may be reproduced in any format without our written permission. Back to the Future Education and its associated logos registered are trademarks of Back to the Future Education. Microsoft, MS-DOS and Windows are registered trademarks of Microsoft Corporation. IBM is a registered trademark of IBM Corporation. All other third party names and brands referred to on this web site are the property of their respective owners. Information published by Back to the Future Education on the World Wide Web may contain references to products and services not available in your country. Such references do not imply that Back to the Future Education intends to sell such products and services in your country. Information on this web site may be changed or updated without notice. Back to the Future Education and/or the manufacturers may make improvements and/or changes to the products and/or services described in this information at any time without notice. Back to the Future Education makes no representations whatsoever about any other web site which you may access through this one. When you access a non-Back to the Future Education web site you are advised that it is independent from Back to the Future Education, and that Back to the Future Education has no control over the content on that site. In addition, a link to a non-Back to the Future Education site does not mean that Back to the Future Education endorses or accepts any responsibility for the content, or use, of such web site.